With the 2016 New Year just starting, it's not too late to set one more New Years Resolution for 2016: Read through the whole Bible in a Year. Every Christian is aware of the importance of a personal Bible reading plan of God’s word. After all, the Bible is the final and absolute authority for our faith and practice (2 Timothy 3:16, Hebrews 4:12) . It is the very revelation of God himself. It is only through His Word that we truly know who God is and how life is to be lived. The person who is committed to a diligent input of Scripture will have at their finger tips, wisdom beyond measure and many other derived benefits (Psalm 119:11). One of the features of our Hillside Bible App is that is has a Bible Reading Plan. Each day, a different set of Scriptures are recommended for reading. Starting Sunday, January 3 you can start to use this tool to help you read through the Bible in a Year. Set a resolution that will make a lasting difference in your life. 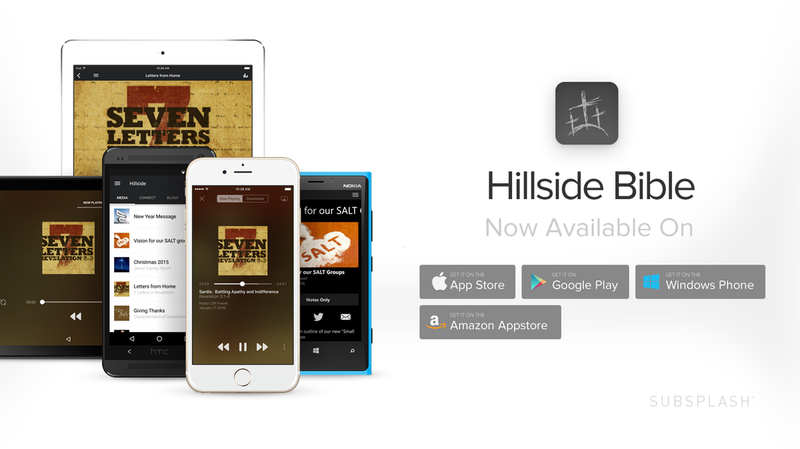 For more information about how to download the Hillside Bible App, click ﻿here﻿. UPDATE: For those that would like different media format for reading through the Bible, we have uploaded Life Journal's Bible Reading Plan in pdf format. This is the same reading plan that are using in the Hillside Bible App. This plan starts on January 1, ours started on January 3. The new Hillside Bible App has officially launched and is now available for downloaded. Miss a message and need to stream or download it? Want quick access to current Hillside Bible events? Need a fast and convenient way to give online? The Hillside Bible App offers all these features and more, allowing content to be easily shared through email and social media routes like Facebook. Search for it on Google Play or iTunes or click here (from your phone) for options download it to your phone. To see all of his older messages series, click here. Operation Christmas Child a Huge Success! 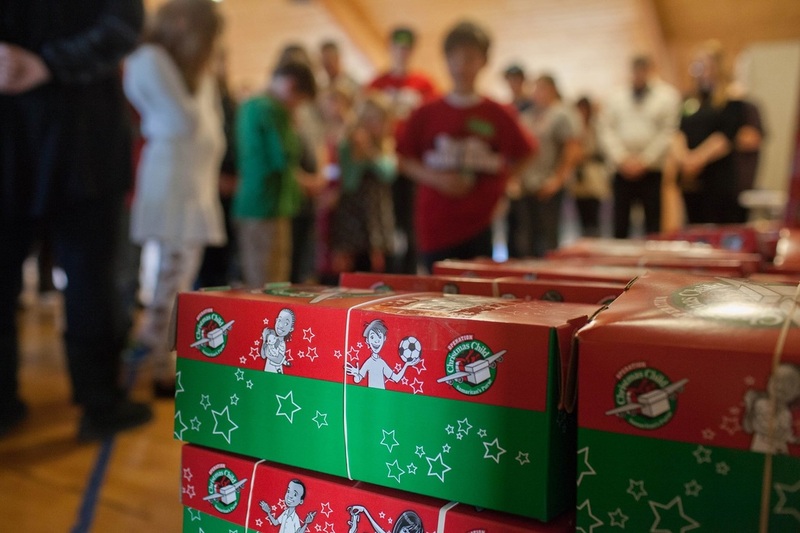 Hillside Bible's Operation Christmas Child event finished up on November 15 with a church wide box packing party. The event was a great success with a high number of people tuning out to help pack over 210 gift boxes to be delivered to needy children all across the world. Thank-you to all who came out and helped pack and to all those who donated items over the past few months. The boxes were bathed in prayer and we are trusting God that our efforts will be a blessing to a child in need. Photo's of the event can be seen on our web site in our Operation Christmas Child Photo Gallery. Correction: Over 210 gift boxes we packed! Some of you may have noticed a new link on our website labeled "Smart Giving". 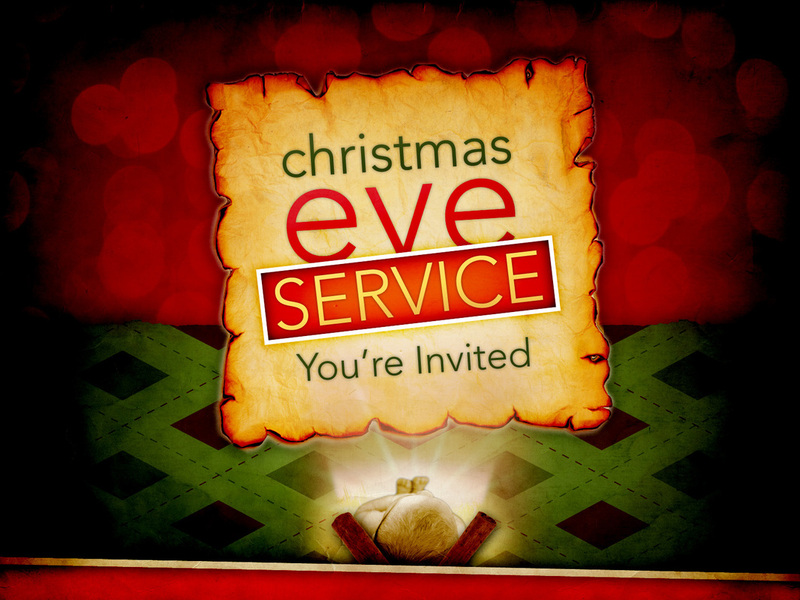 Although we have not publicly rolled it out, online giving is now available at Hillside Bible Church. We are not changing the way in which you are currently giving, just introducing a few more options to those that do not carry cash or a have checkbook. 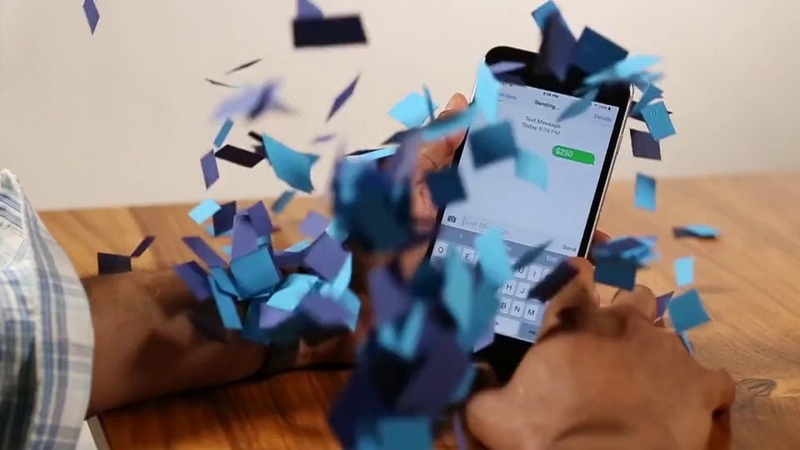 Now you can give through Text Message, our Website and also through our upcoming Mobile App. For more information on how to start using this new technology, visit our website at www.hillsidebible.org/online-giving or call the church office. Look for more details to be announced on Sunday, November 29. 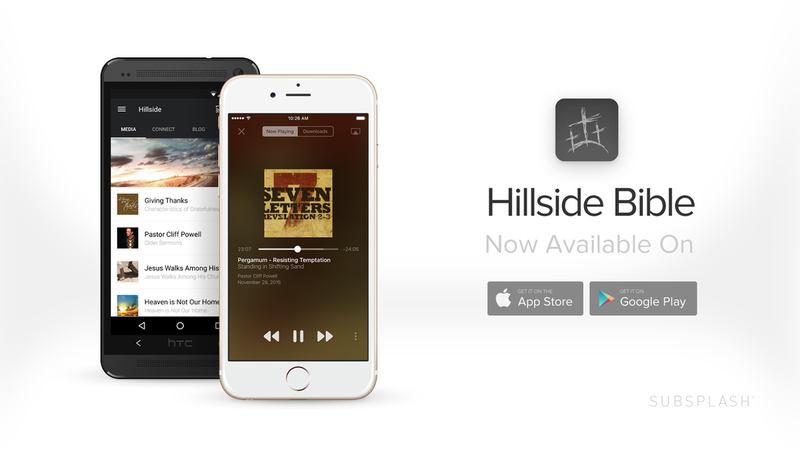 UPDATE: Our Hillside Bible App is now available. Click here for more information. It's Official. We are proud to announce the release of our newly redesigned website at hillsidebible.org. It was officially (and secretly) launched over the weekend and it has been crafted to reflect what our members told us they need now but also builds upon technologies that are capable of addressing our future needs. Immediately you will notice the streamlined menus, simple navigation and access to the key information you need, any time of day. We have designed the new website to be our core resource hub as well as a gathering place for our church members and potential visitors that are interested in learning about our church. One key feature that you may miss is that the website is 100% mobile friendly. Over 60% of all web traffic today is generated from mobile devices. That means you can access our website via your desktop browser or through your mobile device and the web pages will be rendered in an easy to read format. Another key feature that we are excited about is the built in seamless integration with Facebook. The information you are reading right now originated from our church blog and is automatically posted to our Facebook page. How cool is that! The women's ministry at Hillside Bible Church in Ortonville will be sponsoring a "Mary & Martha Kitchen Shower" on Sunday, Sept. 27th from 6:00 - 7:30 pm. This is not a baby shower but an event to help bring our kitchen up to date with some very needed supplies. To get a list of needed items please contact the church office. Please come and have a good time with the ladies of Hillside. Thank-you! The Hillside kitchen is stocked and our cup runneth over! The basic kitchen needs have been met AND there is enough to purchase items from the "big wish list" that includes knives and sturdy shelving. Thank you for your generosity and fellowship. Thank you also to the ladies who organized, worked, baked and extended hospitality to everyone.